History is written by the winners, but sometimes the story gets revised. 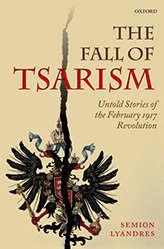 In the case of Russia’s February Revolution of 1917, Notre Dame’s Semion Lyandres has done just that in his latest book, The Fall of Tsarism (Oxford University Press). Based on previously undiscovered eyewitness accounts by key participants in the revolution, Lyandres’ work offers significant new insights into the circumstances that led to the end of the Romanov dynasty’s 300-year-old reign. “The February revolution put an end to Europe’s last old regime and paved the way for the establishment of the communist Bolshevik regime, which came to dominate the world stage during most of the 20th century until the Soviet Union’s collapse in 1991,” says Lyandres, professor of modern Russian history in the Department of History and co-director of the College of Arts and Letters’ Program in Russian and East European Studies. The Fall of Tsarism presents a fresh perspective, almost 100 years later, on how this pivotal event actually transpired behind the scenes. It collects and interprets, for the first time, original transcripts that remained in private hands until 2006, including interpretive sketches on the interviewees, rare illustrations, maps, a glossary, and a chronology of events. The interviews provide wide-ranging perspectives on the politics and personalities of the period from a diverse group of political figures as well as lesser-known activists. 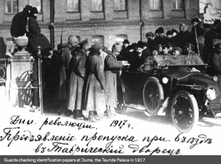 “Historical literature up until now had emphasized social conditions to explain the February Revolution,” says Lyandres, a faculty fellow in Notre Dame’s Kellogg Institute for International Studies and Nanovic Institute for European Studies. In his book, Lyandres makes the case that the revolution was “a combination of a popular uprising and an elaborate political plan developed by leading opposition figures in the Russian Parliament to overthrow the monarchy. A conspiracy, you could say, with specific names and specific plans of who should do what and when to force Nicholas II to abdicate. In addition, many of Lyandres’ academic colleagues at other universities have told him that they will incorporate the book’s primary sources to illustrate their own lectures in the classroom. It is well-deserved affirmation for Lyandres’ perseverance in finding and acquiring the documents that form the foundation of his research—a fascinating 14-year journey with stops and starts, involving people and places that could have come out of a Russian novel, which he details in the introductory chapter of the book. “It was a huge adventure, it was trial and error, and I never thought I would reach the end,” Lyandres says. “I never lost hope, but there were so many obstacles—geographical, political, logistical—along the way. Thanks to the help of many people who opened doors, I was able to successfully get hold of the documents. Two major academic journals are currently developing in-depth, 3,000-word reviews of the The Fall of Tsarism, further recognition of the significance of the work. 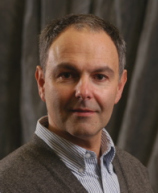 Lyandres is the founder and North American editor of the international series Modern and Contemporary Russian History: Monographs and Documents and is also a joint founding editor of the Journal of Modern Russian History and Historiography. In addition to the Fall of Tsarism, his publications include: The Bolshevik’s German Gold Revisited: An Inquiry into the 1917 Accusations; The Memoirs of Alexander Guchkov, President of the State Duma and a Minister of War in the Provisional Government (with A. V. Smolin); and A Chronicle of the Civil War in Siberia and Exile in China: The Diaries of Petr Vasil’evich Vologodskii, 1918-1925 (2002), in 2 volumes (with Dietmar Wulff). Among several other projects moving forward, Lyandres has been asked by Oxford to contribute a chapter on the February Revolution to the forthcoming volume A Companion to the Russian Revolution, and by the publisher Rowman & Littlefield to write a book on the Russian revolution as part of its popular Concise History series. But book he just finished, he says, “is probably going to be the most lasting contribution of my career. Originally published by Aaron Smith at al.nd.edu on July 23, 2013.